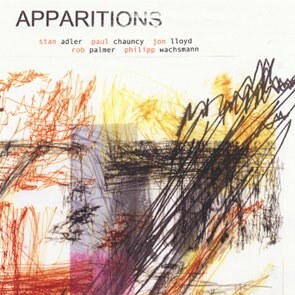 Apparitions - moving and engrossing music born out of immense experience and fresh thought. It mixes old and new - strings, wind and electronics. It is architectural improvisation - played with intent and built collectively to create imaginary spaces. The result is fresh, un-selfconscious, vibrant and above all very stimulating music. This is a new group that demands to be heard! Stan Adler - cello/electronics, Paul Chauncy - electronics, Jon Lloyd - soprano sax, Rob Palmer - guitar/electronics, Philipp Wachsmann - violin/electronics.